Staying ahead of the game is a must in this business. We wanted to create a tool that would shoot you to the finish line 1st! Though there are many reasons this tool would come in handy, here we'll show you how to use the Bulk Import tool in preparation for a seasonal launch. 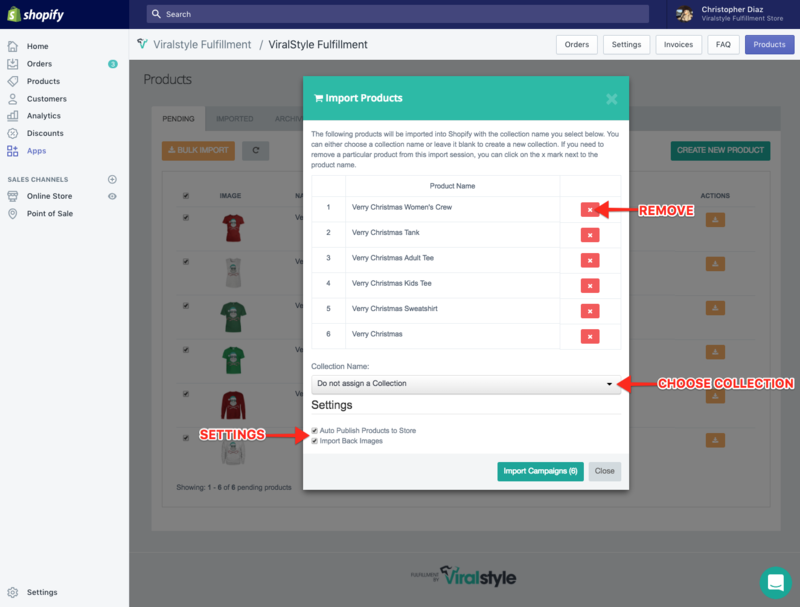 First, it is important to remember that you will need to turn the "Automatically Import into Shopify" toggle OFF before launching each product intended for bulk import. Click "Launch" to send the product into your "Pending" products tab in-app, where it will be waiting for you to import & publish with a click of a button. On the Products page you'll see the Pending tab. This is where all your products are waiting for you to import & publish in bulk. There are 3 things you need to know about this tool which can work in several different ways. a.) The "bulk import" button. This will import all products that have a box checked to their left. b.) The "single import" button. This will import products by themselves, individually. c.) The boxes to the left of each product. There is an "all products" box (top-left) which will allow you to select all products fo bulk import. You can also check specific boxes to the left of each product, allowing you to add/remove certain products from the bulk import. Once you have decided which products to bulk import, click the "Bulk Import" button. A pop-up will appear giving you several import options to remove, choose & adjust. First, use the Red "X" which will allow you remove any last minute products from your bulk launch (optional). Next, click the drop-down menu and select which collection you'd like to add & import these products to. Last are your import settings, you'll see two options checked by default. 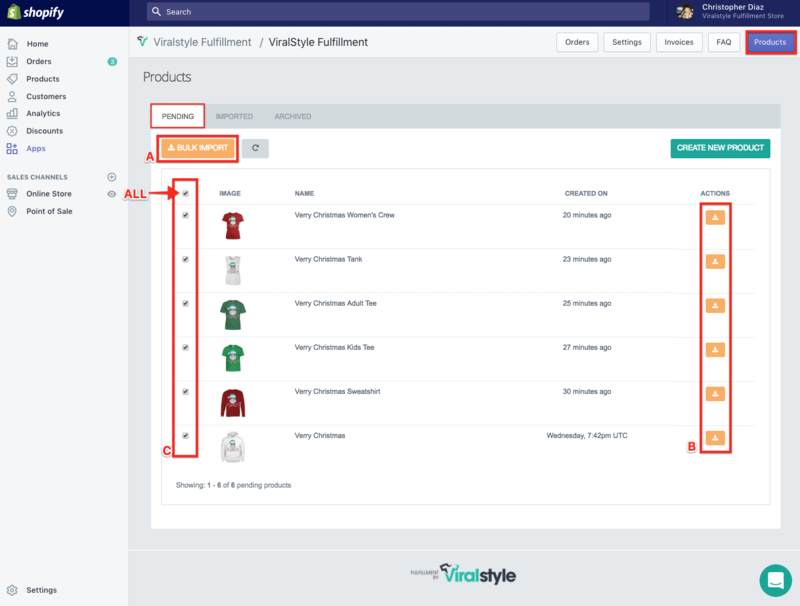 You can uncheck the "Auto Publish" box if you're not ready to publish these products. If you hadn't seen it prior to launch, be sure to take advantage of the "Import Back Images" toggle. If you are only launching a single-sided product, this will remove the redundant mock-up clearing clutter on your sales page. You're ready to Bulk Import your products, click the "Import Campaigns" button.